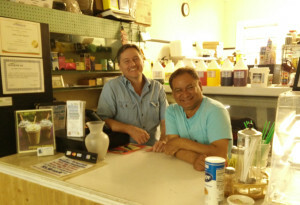 Welcome to J.C. Romero’s Neighborhood Cafe! 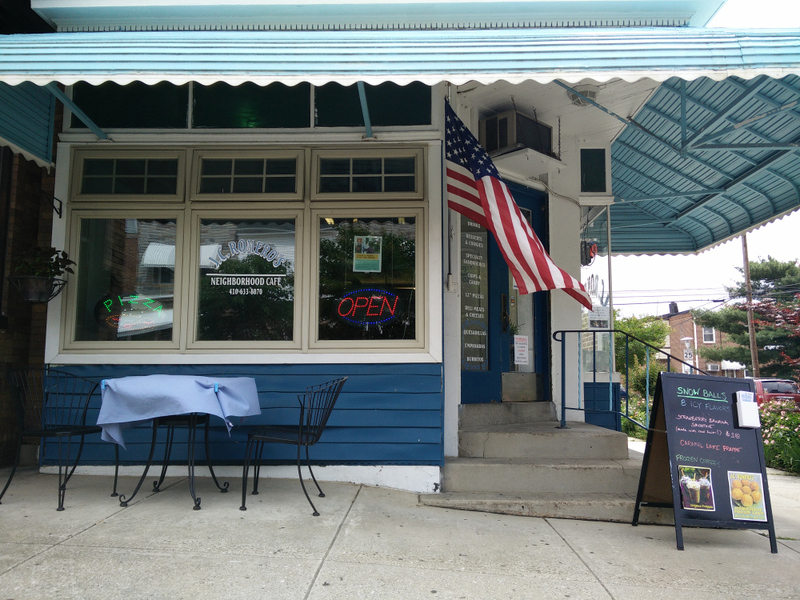 We are an original 1930’s corner store located at 365 Cornwall St. Baltimore MD 21224 – right off of I95, and a two minute walk from Johns Hopkins Bayview Hospital. Yes, we do catering. Feel free to call us at (410) 633-8070. We have free WiFi. We are open Monday-Saturday 8am-8pm, except Thanksgiving. We are located in the heart of Joseph Lee, right off I-95 and next door to Johns Hopkins Bayview. Come visit us for J.C.’s Specialty Sandwiches, 12-inch thin crust pizzas, fresh salads, panini’s, Italian Subs, coffees and chai, homemade cookies, and our daily specials including tacos and tostadas. We also have groceries, milk and eggs! Click here to download our menu (PDF). Like the cafe itself, the menu is eclectic…from grilled panini sandwiches to a toasted chicken sandwich with bacon called “The Flying Pig”. Past and present customer favorites are the triple-decker Turkey Club, The Italian Sub, Chicken Quesadilla, The Reuben, and a unique Chicken Salad Sandwich you’ve gotta try! Everything made fresh. Matt is the guy with a degree in Landscape Architecture who has decided he prefers slaving over the grill rather than the lawn. He is happiest doing the baking while business partner, Cesar Romero (the Joker? ), loves to cook and schmooze with the customers. Everyone’s welcome with a BIG SMILE. An original 1930s corner store in the Bayview Neighborhood, J.C. Romero’s has retained its original character…from the tin ceilings…to the well worn grocery shelves lining the wall. Some current customers quip references to “Mayberry” while they enjoy their lunch…obviously affected by the unassuming nature of the cafe. Over the past four years, J.C. Romero’s has been serving breakfast and lunch to employees of nearby Johns Hopkins Bayview Medical Center and the surrounding community known simply as “BAYVIEW”.